Indian filmmaker Jyoti Nisha does not think anyone can claim B.R. Ambedkar’s image or politics. But with her upcoming film, B.R. 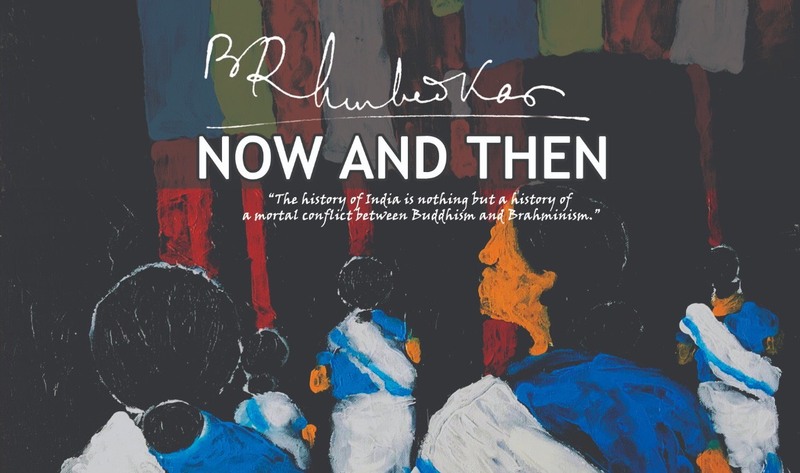 Ambedkar: Now and Then, Jyoti weaves Ambedkar’s life and history as an opponent of Brahminical hegemony together with the current political climate and anti-caste movement, all from her own Bahujan feminist perspective. Kajal sat down with Jyoti to discuss caste politics, the appropriation of Ambedkar, and how the public can support this film’s production. I want to start by talking a bit about the inspiration for the film. In the trailer, you talk about a systematic attack on knowledge production and freedom of expression leading to your decision to make this film. Can you say more about that? First, I have mentioned Rohith Vemula. He was a student who was ostracized and faced caste-based violence. This problem is a systematic attack because the government has been restricting scholarships of PhD scholars, and apart from that students from SCSTs (scheduled castes and scheduled tribes), OBCs (other backward classes), and marginalized communities don’t get their privilege or quota. So the kind of systematic attack the government is doing in terms of controlling knowledge comes down to the question of how do you control knowledge. First you restrict entry of students into institutions. These students who come from socially marginalized backgrounds, cannot afford education. And that is why these scholarships are given to them, so that they can access education in this institution. And then there is restriction of research. When you are researching through institutions, a lot of the time you’re discouraged to produce knowledge because you come from a certain caste. This happens especially in deciding positions in hierarchies. How many SCST professors are there in universities? When you don’t have people in positions of power who can represent you and help you produce that knowledge as well, it makes a lot of difference. How did you choose Ambedkar’s life and image as the way to tell this story about caste and discrimination? I was interested in Babasaheb (Ambedkar) because he was interested in the rational. I was interested in the logic that he brings to whatever he talks about — annihilation of caste or gender or anything else. He brings this scientific rationale and humanity, this social scientist’s perspective. If you understand the social structures and how religion works, that there is a certain archetype and social structure and spiritual or cosmological power which translates into sociological power somehow, that’s what matters. So in that respect, it’s the scientific mindset and compassion that he brings — he doesn’t ask you to be violent and all of that. He’s compassionate. He embraced Buddhism. How do you see Ambedkar’s image being appropriated in Indian media or culture? Well first, I come from a scheduled-caste community, but I come from the middle class so I didn’t struggle as such. But you do experience those things and you understand those nuances. So I heard a lot about Babasaheb all the time and went to rallies with my father who was an activist. I had been hearing so much of him in our circles, and then suddenly some fifteen or twenty years later, everyone is talking about him. So I was like why? Rohith Vemula is talking about him and Kanhaiya Kumar is talking about him and Arundhati Roy is also talking about him, so there is kind of a connection I felt. In this time, I came to understand two things. First, it’s become impossible to ignore his stature and his contribution. Second, the access to media that people now have, and how he is being appropriated right now essentially means there is a cultural movement and expression around him. And you have to understand this in context. The context is that in this point in time, people are asserting their identities. So at this point in time, the anti-caste movement is at a high. People are connecting to various sources and discourse. It wasn’t like this before. In my life I have not seen such an assertion of politics, like such a badass assertion. And people are able to do it in a not violent or flamboyant way but just to be able to talk about caste and about gender and the intersectionality of caste and gender. The whole community has started to speak and express through academia, through cultural movements, in politics and student movements. It hasn’t happened before. So everybody wants to sort of cash in on his identity now, so the prime minister of India is talking about him, political bodies are talking about him. So you just want to claim his identity. So you want to appropriate a leader, especially symbolically and politically. For an example, when I was 16, I had a friend who was 24, and I would speak English then. So this person asked me “what’s your name?” My name is Jyoti Nisha; I don’t use a surname. I don’t know why my parents didn’t ever give me a surname, maybe there was a particular reason about identity. It makes a lot of difference in a country like India where you have caste politics and the whole structure of power. So I was asked this question, like, “Oh, you speak good English. Where do you come from? What is your caste?” So I was like, “I’m scheduled caste,” but because I come from an Ambedkarite family, my caste was never a problem for me. It makes a lot of difference when you’re brought up in an Ambedkarite family and suddenly everybody is claiming and appropriating Ambedkar, and it is interesting, it’s not like because you come from a certain community you have a certain claim on Babasaheb — nothing like that. I’m not claiming Babasaheb as, “Oh, he comes from my community so he’s my political leader.” No, it’s not that — you cannot claim anybody, and you can never possess anyone. Lived experience makes such a difference. Let’s say someone is trying to help me spread the word about this film. They want to say, “Hey Jyoti, let me talk about you.” The moment the other person starts talking about me or my personality or something, they start appropriating something off me. If I am present, and you can pass the mic to me then do that. You can really pass the mic or the stage or the frame or access to that platform or space to people who come from oppressed backgrounds. Maybe I don’t need to say this, but I really don’t believe in education. Education does perhaps prepare you for life to make money and to go about this world so people don’t cheat you or anything, but there is some kind of emotional intelligence that people have that you can’t receive experience through education. When you are talking about passing the mic you can’t say “Oh because you are not educated you can’t speak for yourself.” Everybody can speak for themselves, can they not? Have you had responses to this film project that surprised you? Well, a sort of lull happened when the trailer came out. I think there was maybe a certain kind of divide between men and women in terms of PR. Women from a lot of spaces have come to me, and it’s very interesting. For me, I’m going to make this film no matter what, whether this crowdfunding thing works out or not. If I get the money I’ll do a far better job at it I think, and some load will be off my head also. It’s an important film, and I’ve worked on it a lot. I’ve given it a lot of energy — shot across eight states. It needs to be produced in a certain way. It has shocked a lot of people like why is it 20 lakhs, but I want to make a film of quality. I know I’m making an important film, but I also want to entertain people and engage them. There is a lot of good word that’s coming — people recognize the value. The process is slow. I wish that it would multiply much more. I am hoping to connect to bigger resources and trying at my end, but at the same time, it is also like giving back to society. There is no agenda involved in this. I just thought that I was a journalist, I went to film school, I thought that the time was right. There was nobody saying like, “Hey, why don’t you do that?” There are no political leanings here. There is no activism going on here, but I just felt that I was concerned about this so I started working on this film. Then it took a very serious shape, and people came on board, and people opened up. It just seemed like giving them the mic and a space kind of a situation. I am nobody to make this film actually, I am just here to start it. People came up because popular media was not coming to tell their stories from their perspective. There are stories of victims and there are stories of asserting voices as well. There are stories of victims and as well as stories of heroes who believe in Babasaheb, and it’s a symbolic projection. Why should and how can people support your efforts with this film? Honestly, this film is my first film. I thought I have that power and ability to do this and document it in a way that engages people and entertains people. Ambedkar really empowers you. If you read about him, the way he talks about caste, about gender, the way he talks about Hinduism — it’s amazing. He was so far ahead of his time. There are times that me and my friends are hanging out and chilling and we just suddenly start talking about him — it is just crazy that he was so ahead of time. This is my way of paying back to society. I am quite confident that it can reach film festivals, and I plan to do that eventually if people help on it. You can support Jyoti’s campaign to finish the film here.